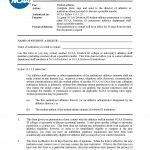 The NCAA release form is a document that is used by student athletes for the purpose of gaining permission to contact athletics staff members at other divisions of a NCAA Division III University or College to possibly arrange a transfer. With the same document the contacted University or College may privately contact the student athlete. 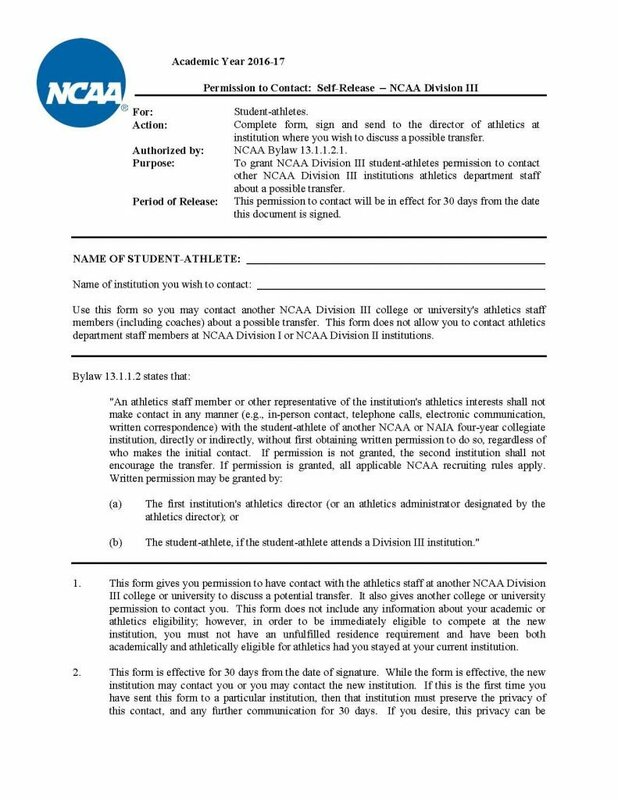 Although there is no personal or academic information disclosed with regard to the student athlete’s athletic or academic eligibility, there residence must be fulfilled as required, as well, the athlete must have been eligible for both as if they had stayed with the current University or College. While the form is effective, (30 days only) the new college or university, with permission of this form, may contact the student athlete and the student athlete may also contact the potential new institution. Should it be that it is the the student athlete’s first time in sending the form to a specific institution, then the institution is fully responsible to protect the privacy of the information and contact, but for only 30 days. In the event the student athlete should decide to move forward with a transfer, it is the responsibility of the College or University to contact the current institution with seven (7) days of the expiration date of the form. The form will remain in the office of the athletic’s director for a sum of six (six) years.